BuildingSP's A2P Toolkit is an expanding set of tools designed to connect your BIM data from the Autodesk platform including Navisworks, Revit and AutoCAD, to your projects on Procore's ConstructionOS. The first component, the A2P Add-on for Navisworks, publishes model files (NWD, NWF) and viewpoints to Procore for management and tracking. A2P Toolkit will also include add-ons for Autodesk Fabrication and Revit, streamlining typical BIM coordination processes. 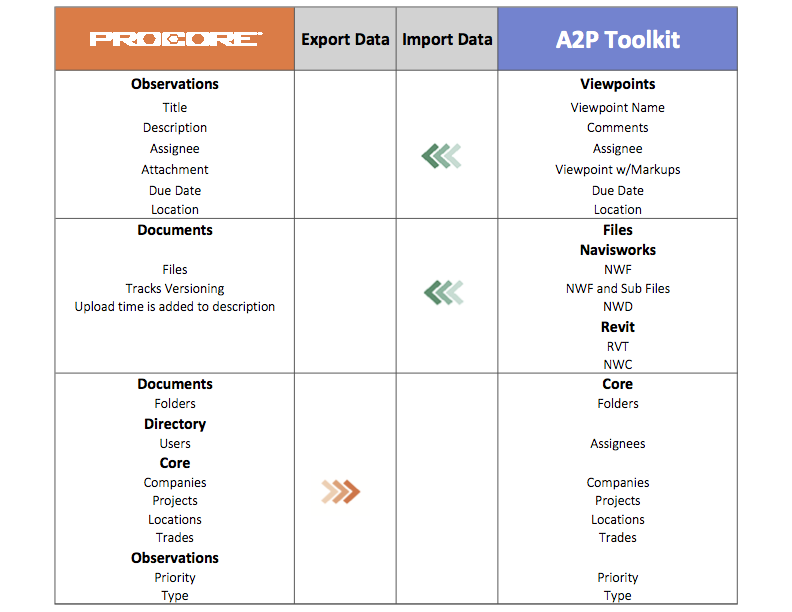 A2P Toolkit bridges a long-standing gap between Procore and Autodesk. Users who have Procore accounts can utilize the Procore Documents tool to easily store, track and archive model files easily as they can now be published directly from within Autodesk Tools. The A2P Toolkit plugin installs within Autodesk tools such as Revit, Navisworks, and AutoCAD to allow users to push data into Procore documents and Observations without leaving the native UI. Users can also publish and track issues identified within Navisworks that are saved as viewpoints into Observations for further tracking. These observations are populated with critical project data which can be used to track key metrics throughout the project. These observations are then available to all team members without the need for special software for comment and or closure. 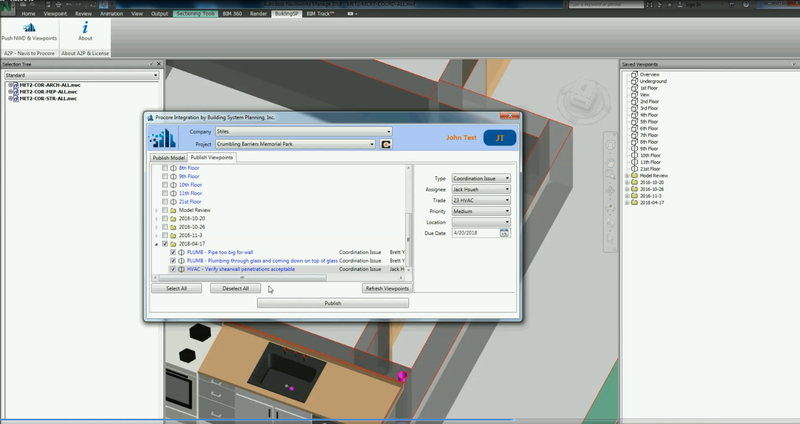 This workflow will greatly help streamline the coordination process using both Autodesk and Procore tools. 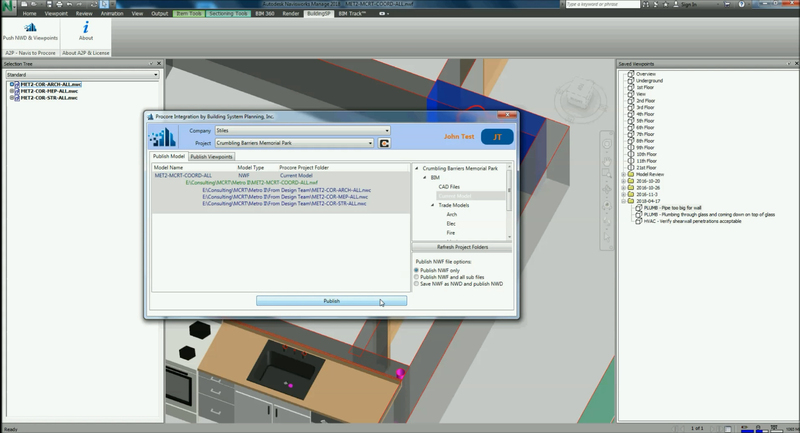 BuildingSP is a California - based software development firm focused on improving building information modeling (BIM) workflows using automation, and advanced computation. For more information, visit http://www.buildingsp.com. Built by Building System Planning, Inc.